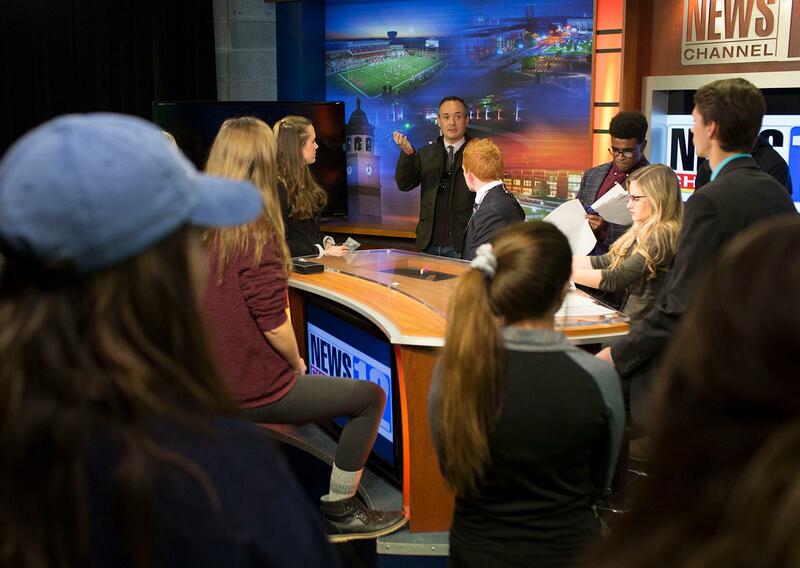 Our Broadcasting program integrates classroom learning with hands-on practical media experience. Our student media includes Newschannel2 newscast, Extra Point TV sports show, Revolution 91.7 and the WKU Storm Team. Please take a moment to browse our site for more information on curriculum, our facilities and our student-run media. 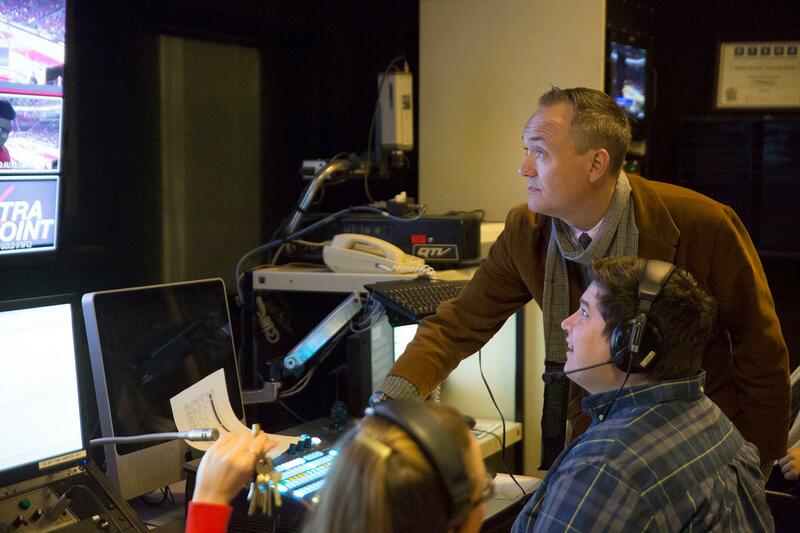 For more information on the Broadcast major or minor, contact us or schedule a tour. Completion of the following courses with a grade of ‘C’ or better: SJB 101, 102, BCOM 201, and BCOM 266. Students not meeting the above admission requirements will not be admitted to the broadcast major and cannot register for additional courses in the major. The major in broadcasting (reference number 726) requires a minimum of 45 semester hours and leads to a Bachelor of Arts degree. Students must take a minimum of 72 semester hours in courses outside of the School of Journalism & Broadcasting unit, including the University’s Colonnade Program requirements. 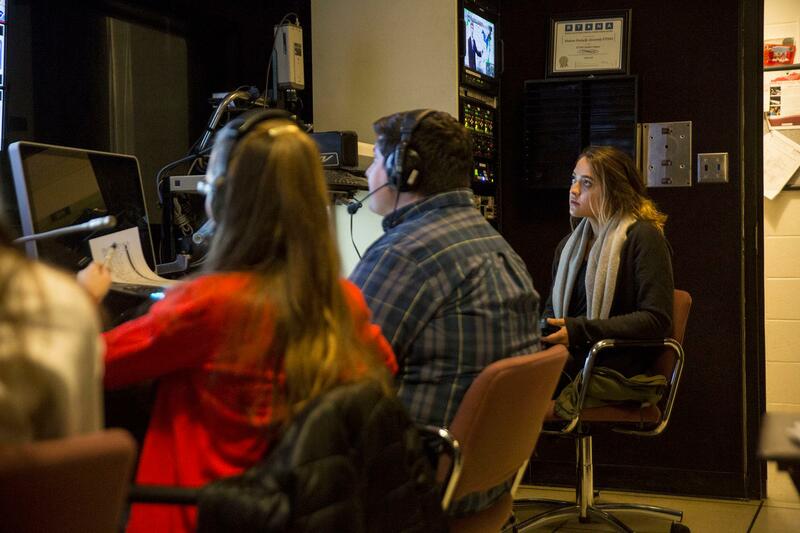 In addition to meeting institutional requirements for graduation, the broadcasting major must have a minor or second major outside of the School of Journalism & Broadcasting and Film Studies that is approved by the major faculty advisor. Students may not select a minor in film studies or from those offered within the School, unless taken as a second minor. No course with a grade of “D” or below may be counted toward this major or used as a prerequisite. One-half of the hours in the major must be at the 300- or 400-level. Only 3 hours of internship or co-op may be counted within the major. One-hour workshops may be repeated in different topics up to 4 hours. Only 3 hours of workshop credit may be counted within the 45-hour major. Six hours of electives can be chosen in consultation with an assigned faculty advisor. One-half of the hours in the minor must be at the 300- or 400-level. For more information on the Broadcast minor, contact Bradley Pfranger at bradley.pfranger@wku.edu in the School of Journalism & Broadcasting. 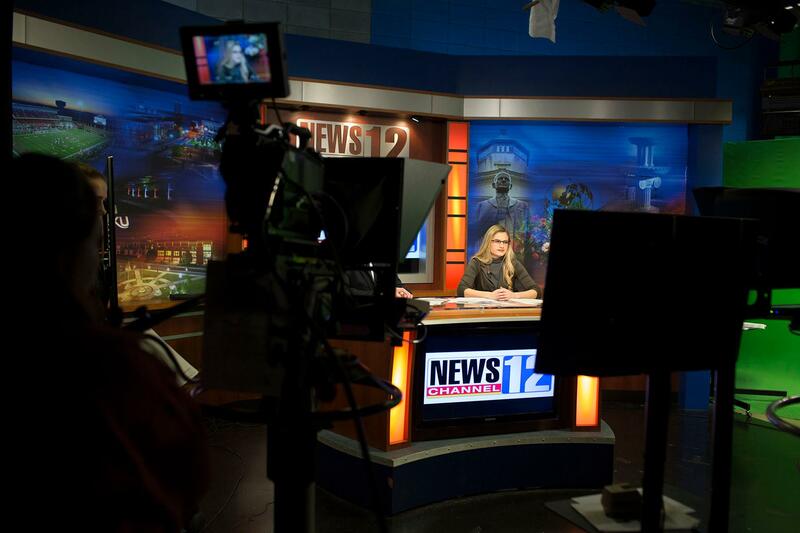 NewsChannel12 is a 30 minute broadcast of news, weather and sports involving Western Kentucky University, the Bowling Green community and its students. Student anchors, producers, photographers and reporters combine their resources to produce the program. 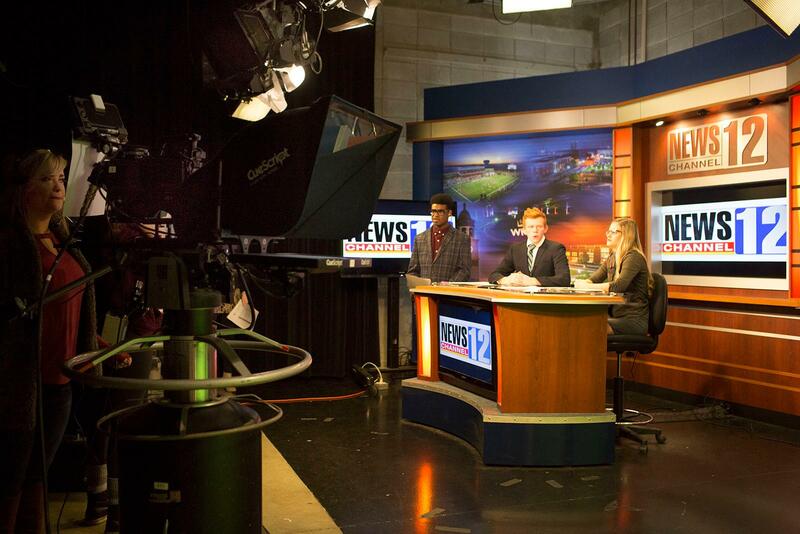 NewsChannel12 provides students the opportunity to build their resume via professional media experience. 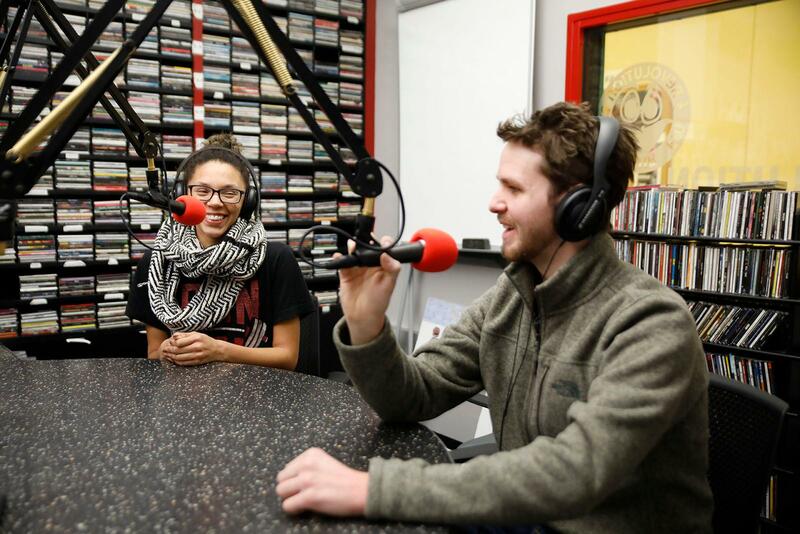 Hundreds of former WKU broadcast students now work in a variety of media outlets around the country and NewsChannel12 enhances that tradition. Extra Point is a LIVE weekly student run sports program. Extra Point airs on WKUs PBS station every Thursday at 6:00pm. Revolution 91.7 is the campus radio station of Western Kentucky University. We play the best in college-progressive music and showcase up-and-coming artists. The WKU Storm Team is comprised of meteorology/broadcasting students. 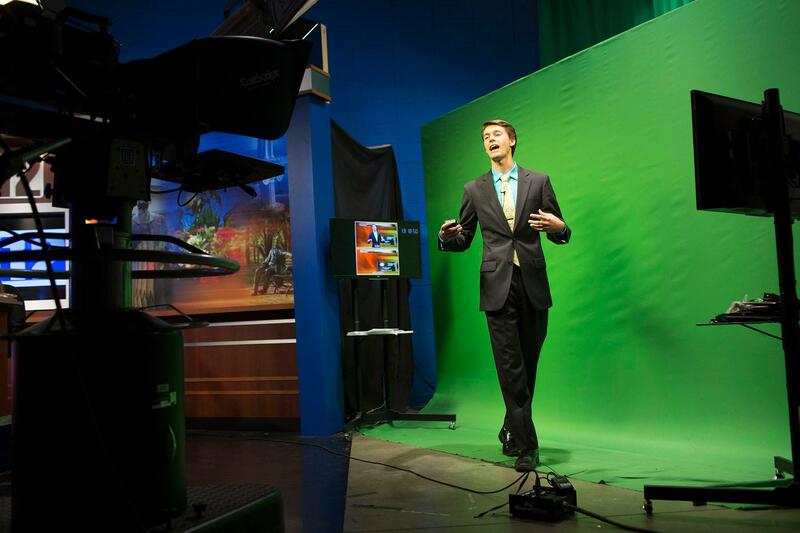 We use the resources of StormCenter 12's studio in the Academic Complex, Revolution 91.7 in MMTH, and the internet to provide Hilltoppers with the latest information regarding severe weather.